Because we are here to make you money. That means upping your online marketing game so that you bring in more customers and more revenue. 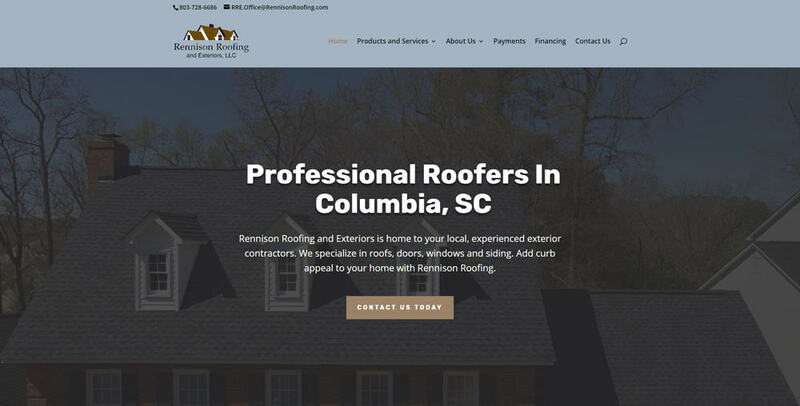 We provide no-nonsense marketing services for local South Carolina and national brands to expand their customer bases and position themselves as leaders in their industries. To do that, we provide our clients with brutally honest assessments about what works, what doesn’t, and what needs to happen to make their marketing efforts successful. No smoke and mirrors, no fluff, just real strategies based off of successful digital marketing techniques and hard data. You can’t afford to negotiate with quality and visibility when it comes to landing new customers. The first step towards having a killer online presence is an effective website. The staff at Cut Throat Marketing includes expert designers who know how to make a site that is easy to read, that is eye-catching and attractive, and that shows up on search engine results. Don’t let one bad review tank your online reputation. We make sure that when someone searches for our company, they find positive reviews on a cohesive brand across all relevant review sites. Platforms like Facebook, Twitter, and Instagram and quickly becoming the go-to for more accurately targeting key demographics. But social media isn’t for everyone: if we think that you will get a big return with a social media campaign, we’ll push for it. If not, then we will move on. We are here to make you money, not waste your time. Putting your brand in front of your customer is our #1 priority, and we do that with expert SEO. Our content developers and web designers utilize tactics that get your sites on top of search engine results. We analyze data and implement strategies that let us market your company for the audience you want, based on what they want. We also provide optional paid search advertising to give your brand that extra boost and visibility. We have partnered with Big Eye Bird, a South Carolina design firm, to help with your graphics and logos. We work with them to ensure that all your brand assets are published in the best possible resolution. And, if you need more hands-on help with logo design and creation, we can refer you to Big Eye Bird directly. Feel free to reach out! We offer consulting services individually for each of our specialties! Cynthia’s passion is helping people understand technology. From consulting to one-on-one training, Cynthia’s has a way of explaining the details in simple terms that are easy to follow. Geoffrey Giles started his career as an IT Management expert in cloud computing, data backup, and data security. He likes function, analytics and data. Has a tendency to use words no one understands. Gerald is a professional SEO and Content Strategist who specializes in industry-specific copywriting for general audiences. He has a Ph.D. In Communication from the University of South Carolina, specializing in professional and technical writing. Pierre Livingston is a professional web developer and designer, born and raised in Columbia, South Carolina. An eye for design, he spends his free time offering photography and video services.